The 4 arm version 'Hampshire'. 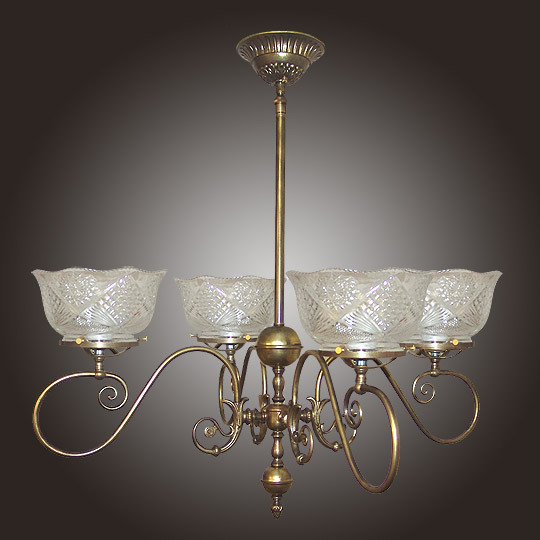 This very prestigious chandelier is a wonderful addition to any Colonial or Victorian setting. Features amazing hand craftsmanship and a great overall flow. Can be made in the original 2 arm version and up to 8 arms.